Nature program Blue Planet II has received both criticism and support online for dumping hundreds of rubber ducks into the ocean in order to highlight the global problem of plastic pollution in the ocean. The stunt was carried out in the Pacific Ocean off the coast of Costa Rica. David Attenborough can even make rubber ducks sound epic and haunting. 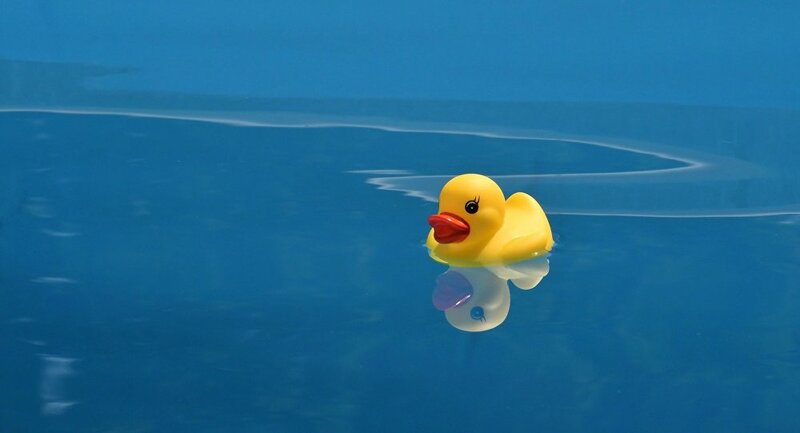 The effect was intended to recall the case of some 7000 rubber ducks being dumped into the Arctic Sea when a shipping container fell from a cargo vessel in 1992 — but some observers on Twitter accused the program of deliberately trying to mislead viewers into thinking they were seeing the aftermath of the original event, rather than a restaging of it. Others questioned whether all of the ducks were retrieved from the water after the filming. ​Others were more sympathetic, mocking those who mistook the footage for the original event, and supporting the stunt as a way of illustrating the scale of plastic pollution of the world's oceans. Is this really where we are now? It has to be explained to people that the footage of something that happened 25 years ago might not be *actual* live footage? According to the Plastic Oceans organization, 8 million tons of plastic are dumped into the oceans every year, trapping and poisoning marine life.